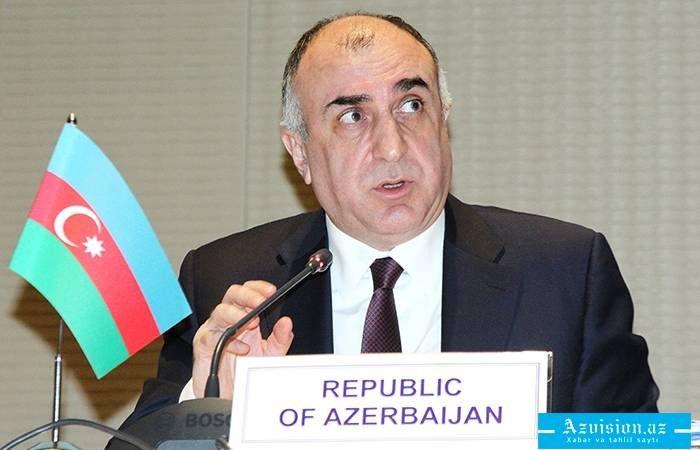 The Minister of Foreign Affairs of Azerbaijan, Elmar Mammadyarov answered the Armenian journalists' provocative questions on the Nagorno-Karabakh conflict in his flight from Barcelona to Moscow, AzVision.az reports. AzVision.az presents the dialogue between the FM and journalists. Journalist : What do you think of the April fights? Everybody thinks that Azerbaijan made the first attack during the fights. Elmar Mammadyarov: The thoughts and the results are different. If you look inside of the story there are different stories as usual in any world. Everyone is building up their own stories on who is guilty and who is right. However, in general, I think that the Aprile fights showed that unfortunately, there is no peace in this region. And, this proved that Armenia must withdraw its army from the occupied-Azerbaijani territories. This is the only way to achieve the peaceful settlement of the conflict. We understand that the troops are the main barriers to achieving peace. Of course, the withdrawal of Armenian troops from the Azerbaijani territories can facilitate the settlement process and open up opportunities for the two nations. Journalist: You always say that we have to protect peace and need peace. However, your actions oppose your words. Elmar Mammadyarov: The answer is quite simple. The territories occupied by the Armenian military servicemen are part of my country. Why does an Armenian citizen do his military service in Azerbaijani territories? Please answer my question. Journalist: Why do you think that those territories belong to Azerbaijan? Those are Armenian territories. Elmar Mammadyarov: Which territories do you consider yours? the occupied territories? Journalist: "Artsakh" is an Armenian land. Elmar Mammadyarov: Who told this? That land is called Karabakh and means "black garden" in translation. You are getting nervous. It is unacceptable for a journalist.